Richard Arkwright is the person to be credited for being the brain child in the Growth of factory Industrial Revolution in 1769 ,he created is first factory in comfort near Dear .It brought a great change ,many people from agricultural turn to the big city for better jobs in factory .Most of the factory was govern by a clock and a factory rules. At the time Revolution most of the factory owner would hired children or child labourers .most of them from orphanage for they came in cheap labours and were profitable because of there side they can go under the machine to clean its. At the time of Factory Industrial Revolution their was few rule was pass and was not given much important ,since many of the owner were Member Of Parliament or MP . Factory inspector was easy bribed as they were poorly paid. 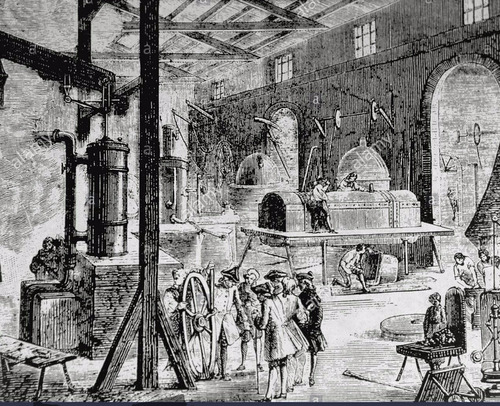 The second factory Industrial Revolution took place in 1850 advance in technology and economic with the development of steam powered ship and railway. In the nineteenth century internal combustion and electrical power generation. Today, there have been 10 visitors (352 hits) on this page!